Christie introduced an all new processor in the Spyder lineup with the Christie Spyder X80. The new Spyder X80 is the solution for today’s higher image resolutions and is the only video processor capable of handling 4K at a 60Hz refresh rate on a single channel. It will be on exhibit in the Christie booth 2553 during InfoComm 2017 in Orlando, Florida June 14 – 16. “The Christie Spyder X80 is an instrumental piece in realizing a ‘pixels everywhere’ vision and stands alone at the forefront as a solution for applications that require managing a massive volume of pixels from source to display with the highest level of performance, flexibility, and functionality available,” added Williams. The new Christie Spyder X80 multi-screen windowing processor offers many capabilities for rental staging and large scale experiences that help make display walls easy to set up and manage, while incorporating the latest standards and connectors, including HDMI 2.0, DisplayPort 1.2, and 12G HDSDI. Christie Spyder X80 solves both the large and small display canvas needs of today, with enough power to solve display needs of the foreseeable future. 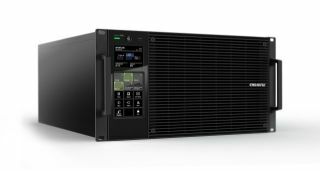 The new Christie Spyder X80 offers an array of innovative features and benefits, including massive display canvas support, card chassis based design, single channel 4K support on every channel, super low latency, Christie Spyder Studio client software (GUI) and more.